"It shot as well as it felt and looked with no significant handling vices". The Rizzini BR550RB side-by-side is a lightweight gun with proves to be outstanding and at a very reasonable price. Michael Yardley considers making an order. 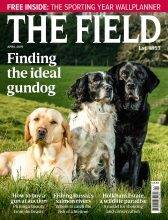 For more fantastic guns at attainable prices, take Michael Yardley’s advice on how to get the best guns on the second-hand market, read vintage Purdey side-by-sides. The 30in, single-trigger, round-bar, Rizzini BR550RB side-by-side is imported by ASI of Snape, better known for bringing in (and developing) AyA guns. Rizzini is an Italian firm; AyA emanates from Spain. The former is a master of CNC manufacture, the latter uses mainly traditional methods. 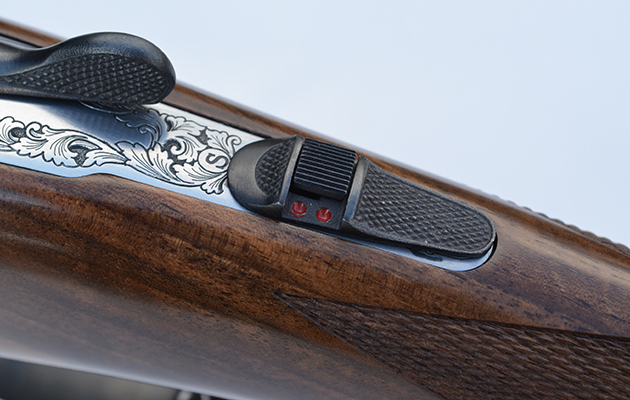 First impressions of the new Rizzini BR550 RB side-by-side are excellent, in spite of an RRP of only £2,850. It is most attractive with deep (laser applied) scroll engraving on a silver-finished action and good stock wood. The engraving is particularly pleasing as is the shape of the action body. Rounded action bar and 3in chambers. The form of the gun is classic but evolved. The stock shapes are a cut above average. The open radius pistol grip is outstanding – one of the best designs I have seen recently – relatively even in depth and providing plenty of purchase. The tapered, well-proportioned comb is attractive and ergonomically efficient. The traditional splinter fore-end is not excessively shallow and pairs well with the grip. 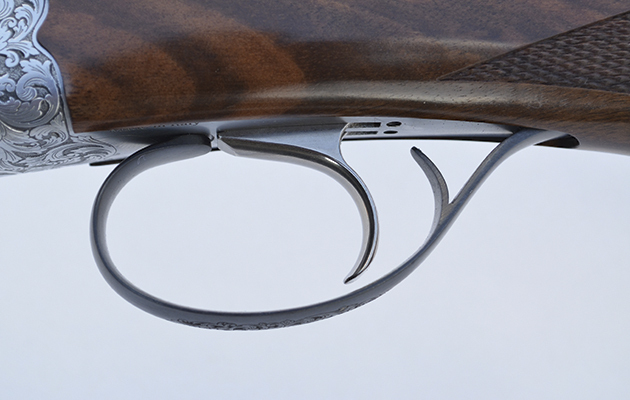 A slimmed beaver-tail sometimes works well with this style of single-trigger 20. It might not be an improvement here, though Rizzini offers the style. This fore-end keeps the front hand close to the barrel and encourages good pointing (beaver-tails can help when barrels get hot). Mounting the gun dispels none of these first impressions. Indeed, the little Rizzini prompts the thought “this is right” when first brought to shoulder. The gun is light (6lb 8oz) but not too light. The stock shapes and 30in tubes provide control and encourage “pointability”. The standard stock length at 145⁄8in with the single trigger suited me, though an extra ¼in would have been welcome. In the old days, English fitters added length to a small bore for adult use and reduced length in a big-bore behemoth. Drop relative to rib axis was 13⁄8in at the front and 2¼in to the rear. My preference would have been for 2in or 21⁄8in as a standard measurement. 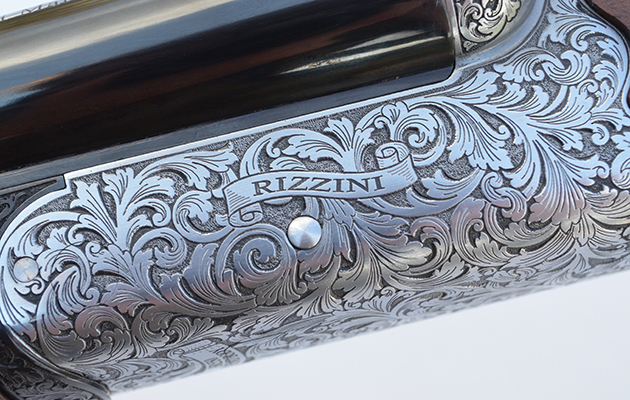 The Rizzini is most attractive with deep, laster applied scroll engraving. The gun’s barrels bear Italian proof for 3in cartridges (though I would not advise them in a gun hitting the scales under 7lb). They are fitted with a good pattern concave rib with a matt, but not stippled, top surface, that makes the rib “disappear” to the eye. I think a flat, pigeon-style rib would also suit this gun. The barrels are multi-choked (five supplied), which, usefully, puts a little extra weight at the muzzles. 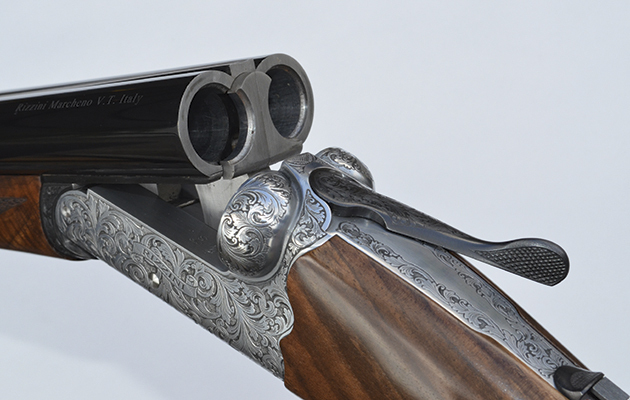 They are constructed on an unusual system, where two tubes sit on a recessed platform that incorporates the Purdey-style double-lumps (Beretta uses something similar in its new Parallelo). The barrels were well presented internally and straighter and more concentric than often seen in smaller bores. Externally, it was notable that the multi-chokes were neatly accommodated with only subtle tromboning at the muzzles. This is not the first Rizzini 20-bore side-by-side to be tested in these pages. We looked at an extra-finish, side-plated model some while back. This is no less attractive and a lot less expensive. It is the sort of gun that Battista Rizzini excels at. His 30in, round bar, 20-bore over-and-under is another outstanding gun at a fair price. The 20-bore seems to suit machine manufacture well. You can end up with something that looks smart and svelte, weighs about the same and handles much like a best London 12, for much reduced cost. Most mass-produced 12s, meantime, have barrels that might benefit from being struck up by hand. So, it would cost more to get similar handling qualities. This Rizzini’s action looks like an Anson & Deeley but is not properly described as such (or as a “boxlock”) because the main works are not within the action body. The hammers, pivoted at the bottom of the action, are driven by coil springs with guide rods down the centre. The sears are hung off the top strap. The stock is attached by a stock-bolt. The upside of this is economy of manufacture and easy stock removal; the downside, potentially, is increased vibration. The single-trigger mechanism is inertia operated and a small screw on the bottom plate allows for adjustment of free play. The gun is machined from solid almost entirely using CNC technology. The design allows for the easy creation of a round bar gun. The Rizzini BR550RB side-by-side shot as well as it felt and looked. It had no significant handling vices but, being relatively light, it needed to be controlled to get the best out of it. Thanks to the first-class stock shapes this was not difficult. The grip provided excellent purchase as noted. One could hold the gun efficiently and control the muzzles better than the average small-bore side-by-side. I shot the BR550RB at a wide variety of sporting birds, including high driven and long crossers, and it impressed with its handling and ballistic performance in all situations. Felt recoil was surprisingly low – lower than a 32in 12-bore side-by-side being tested the same day (which weighed a pound more).  The lack of felt recoil may be due to efficient stock shapes. The gape was not very wide and was a bit stiff to open (more so when it heated). But both aesthetically and from a shooting point of view, this is an outstanding gun at a reasonable price. I am thinking of buying one with a 31in barrel and pigeon rib.